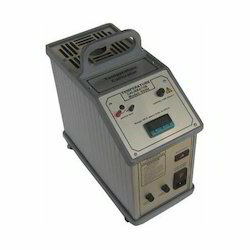 Pioneers in the industry, we offer digital multimeter, comparison tester, universal calibrator and dry block temperature bath from India. 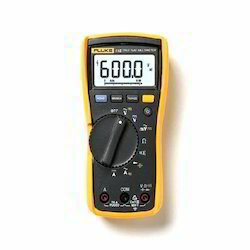 Aimed at prosperous growth in this domain, we are instrumental in offering an excellent quality range of Digital Multimeter. Being one of the renowned firms in the industry, we are dedicatedly involved in providing a premium quality array of Comparison Tester. 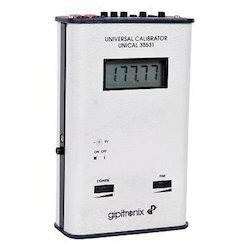 The Universal Calibrator (UniCal 38534) is a micro-controller based portable, battery-operated, precision instrument designed for sourcing and measuring Ohm, RTD, mA, mV, T/C and V signals. A graphical (128x64) LCD with backlight gives excellent user interface. 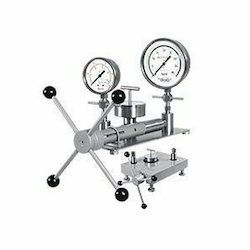 It is designed to calibrate a broad spectrum of instruments and retain its precision and repeatability over long periods in worst environmental conditions. An exceptionally stable voltage/current source provides continuously variable precision output signals with two ten-turn potentiometers. We are offering a wide range of Dry Block Temperature Bath.